Hey hey! 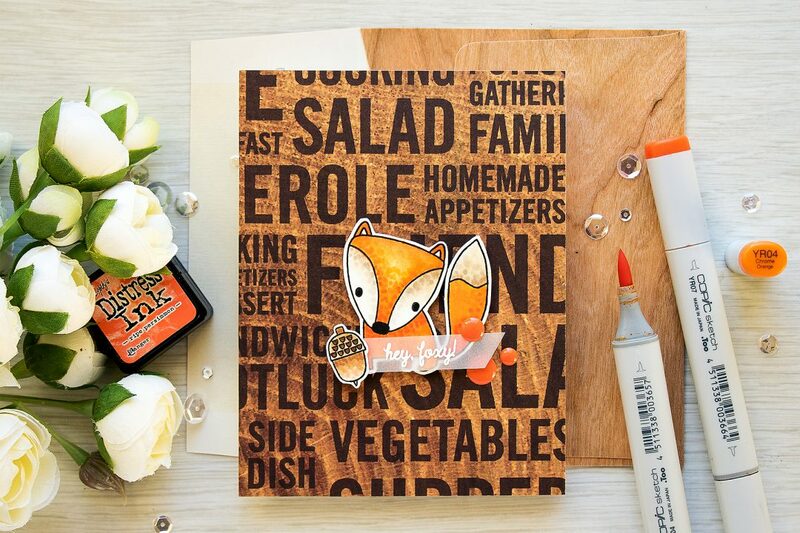 Have you checked out STAMPtember from Simon Says Stamp? Today marks a new collaboration day and its Reverse Confetti! 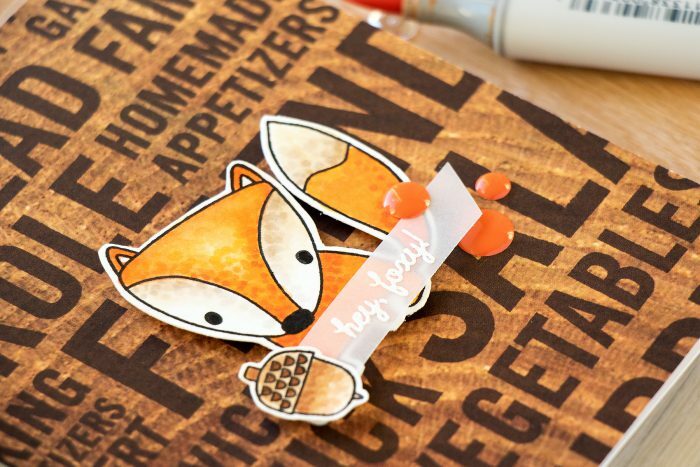 The Forest Friends stamp set is simply adorable and features a fun fox along with an owl sitting on a mushroom! 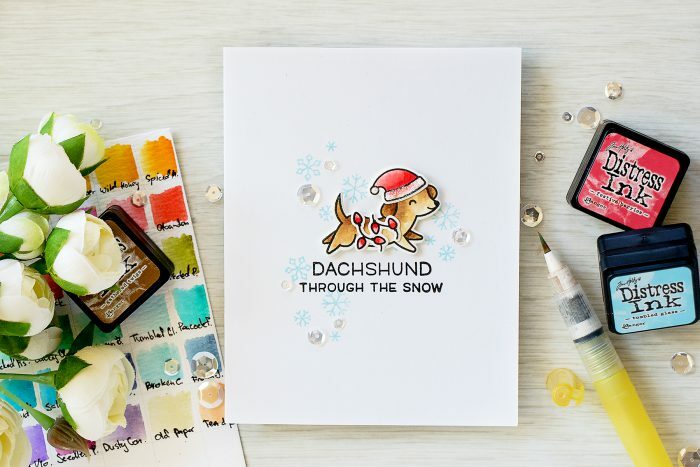 Sentiments match perfectly to the images and are done in Reverse Confetti signature font. I used VersaFine Onyx Black ink and stamped the fox onto watercolor paper. I wasn’t quite sure how I wanted to color this image, so I went with the current easiest way – watercolor. I thought about doing paper piecing with patterned paper, but that didn’t work out. After I colored my image with watercolors (I used Distress inks) I decided I needed to add texture to imitate fur so I used Copic markers and added a bunch of dots in a few colors (this is a great technique shared by Jennifer). There aren’t any coordinating dies for this set, so I cut the fox and the acorn out with my scissors and foam mounted onto an A2 top folding card base covered with a sheet of patterned paper (not sure where this paper came from, I had it in my stash for a long time, I think it might be from one of Simon’s kits from last Fall). The sentiment was heat embossed in white embossing powder onto a piece of vellum and was tucked behind the acorn overlapping the fox. WOW, I love this card Yana. A great background and the fox is sweet! I lost my mind! 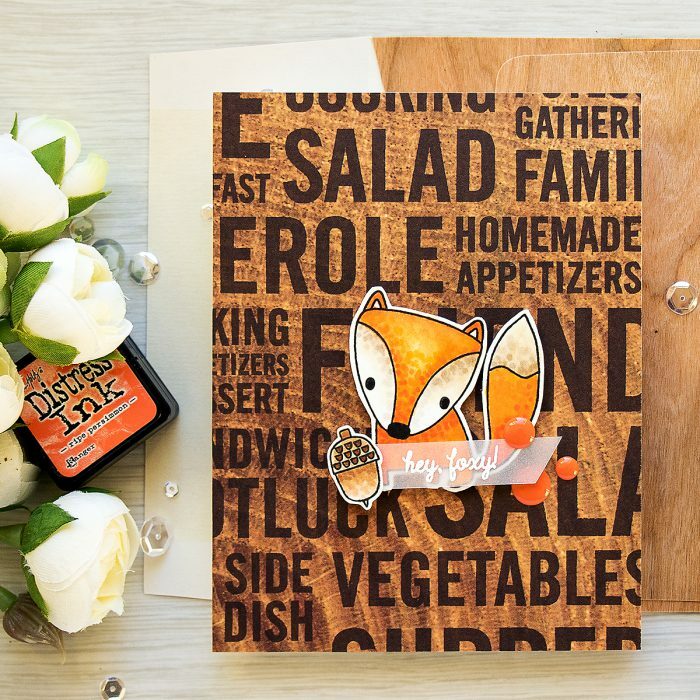 Adorable fox and wooden background!!! Amazeballs!